Technology events generally host ‘inspirational’ speakers at some stage, usually on the last day. After the product keynotes, the technical sessions, the platform updates, the CTO breakdowns and the guest customer speakers, it’s time for the inspirational light relief. These speakers generally fall into two categories: life heroes, or industry heroes. Life heroes and heroines include people like Michael J. Fox (who is always a joy to listen to), William Shatner (who is also fabulous), the arguably somewhat turgidly eccentric lady who swam from Cuba to Key West (or was it the other way around?) Diana Nyad and possibly even speakers from universities and areas of academic research. Industry (or business) heroes include people like politicians (Obama, Rice and Powell are all doing the rounds), businesspeople (Richard Branson speaks a lot, in case you hadn’t noticed) and technical gurus such as Apple co-founder Steve Wozniak. Now here’s the issue. Many of these speakers really ‘do the circuit’, so it’s not hard to end up seeing them speak more than once in any given twelve-month period. Michael J Fox is easy to listen to more than once; and, in fact, Richard Branson is always quite inspirational. So it is that we come to Steve ‘the Woz’ Wozniak, who spoke at the Splunk .conf18 user conference this October in Orlando, Florida. 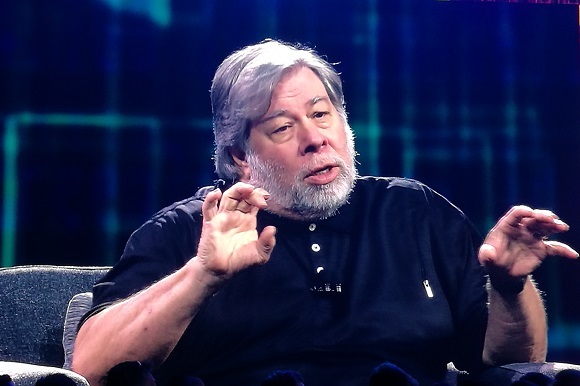 Wozniak doesn’t tend to present as such; he prefers the so-called ‘fireside chat’ format — an industry term used for informal couch-based interviews where the spokesperson is quizzed by an interviewer (sometimes a journalist, sometimes the CEO when there is a real ‘fan factor’ going on). Get used to the term, it even has its own 🔥 Fire Emoji emoji. Having seen Wozniak speak twice before in the last two years, how does Wozniak x3 times feel? Inevitably, perhaps, Wozniak refers to his time founding Apple. The whole “okay so one say I said something to Steve Jobs” lines aren’t going to stop featuring in any of his discussions any time soon. 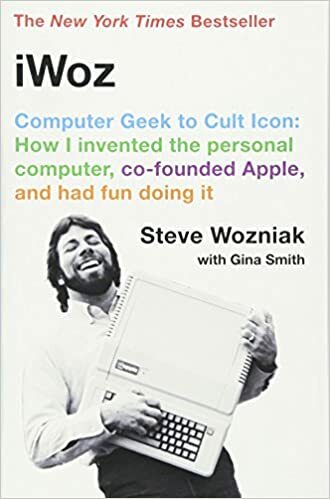 Wozniak spoke at length at how much fun he had had with differential calculus and jumped back and forth into his feelings about being inspired to create great things ‘even if they weren’t going to end up being part of a company or a commercial success’. “In the inventor’s hall of fame, a lot of people have come up with great ideas through serendipity … kind of by accident. Sometimes it’s about following through your own ideas and I was always that kind of person. You go to school to learn methods to design things, you don’t go to learn how to copy other people. That’s how I have always worked, but I’ve always also looked at how I could reduce the steps that people would normally take to create something,” said Wozniak. He suggested that when one person does a job instead of 10 people, it’s easier to shift things around… so Wozniak urged the audience to take control of their own destiny. “The Apple II computer was a great computer and it brought forward arcade games for the first time in colour and presented in the form of software. A nine-year old kid could use this machine to write a game in one day as opposed to the huge amount of time it used to take software engineers,” said Wozniak. He also spoke at length about the importance of education and working on non-profit projects. Wozniak has spent a lot of time teaching ‘5th grade’ (10 to 11 year olds) students in California. He wrote every lesson himself and refused to allow press into these sessions. Spending a lot of time reminiscing about the start of dial up Internet and the pre-WiFi era, Wozniak spun the conversation around to remind us how he thinks about the future of technology. “Artificial Intelligence is a word, but why do we call it that? The brain works differently from computers and we know that humans can [still] work things out so much faster than computers. If Google can recognise thousands of pictures of dogs, it still can’t work out whether that is a picture of a dog on a wall or a dog just sitting right in front of you — you need a two-year old to tell you that,” said Wozniak. He uses the above example every time he speaks to explain how he’s not so sold on the state of AI today. Wozniak suggested that perhaps we should be focused not on ‘intelligence’, but on ‘smartness’ instead as a means of measuring how well computers can actually do things. Amusingly, for a man from Apple, Wozniak said that he thinks open standards (he used the example of WiFi around the globe) are really important for us on the technology road ahead. So is Steve Wozniak worth listening to three times? … oh, you’re supposed to go out and buy his book, apparently.